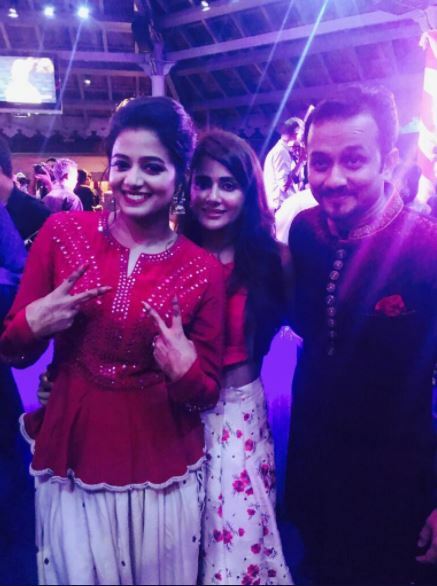 Priyamani and Mustafa Raj got engaged last year in May in a private ceremony in Bengaluru. Actress Priyamani, who appeared in many Telugu and Tamil films, got married to her beau businessman Mustafa Raj today in Bengaluru. The wedding was a low-key affair and the couple got married at a registrar office in Bengaluru, according to latest reports. The couple got hitched in a private ceremony today with close friends and relatives in attendance. Priyamani and Mustafa Raj will hold a grand reception for industry friends at a private hotel in Bengaluru on August 24th, 2017. Priyamani and Mustafa got engaged in May last year in a traditional manner and had said that they would get married in 2017. Priyamani had also said that she will not quit her profession post marriage and will continue to with acting. The actress is currently shooting for a film and will resume back to the shooting just two days after the wedding, reports suggest. Mustafa Raj is a popular industrialist and hails from Mumbai. Mustafa Raj is a very popular perosnality in South Indian film circles since he was the one who has been organising the Celebrity Cricket League(CCL). Besides CCL, Mustafa Raj also owns multiple businesses across India. In an interview a while ago, Priyamani had said that they always wanted a simple wedding but would host a grand reception for their industry friends. “We have always wanted a simple wedding and that’s exactly what we are going to do. The reception will be a grand one,” Priyamani had told a leading daily. To the Anon below : Love knows nothing about age, race, religion, skin colour, language, beauty, etc..its about beyond that. Learn to be in love first before you comment rudely on someone’s love life. Its another example of love Jihad… Why she didn’t find a guy in her industry from her own religion ? What is Love Jihad ? Love Priyamani. What a dancer and a lovely lady.